Get your pet geared up for the game with this officially licensed NFL pet jersey featuring premium details that includes embroidered logos and satin applique numbers! 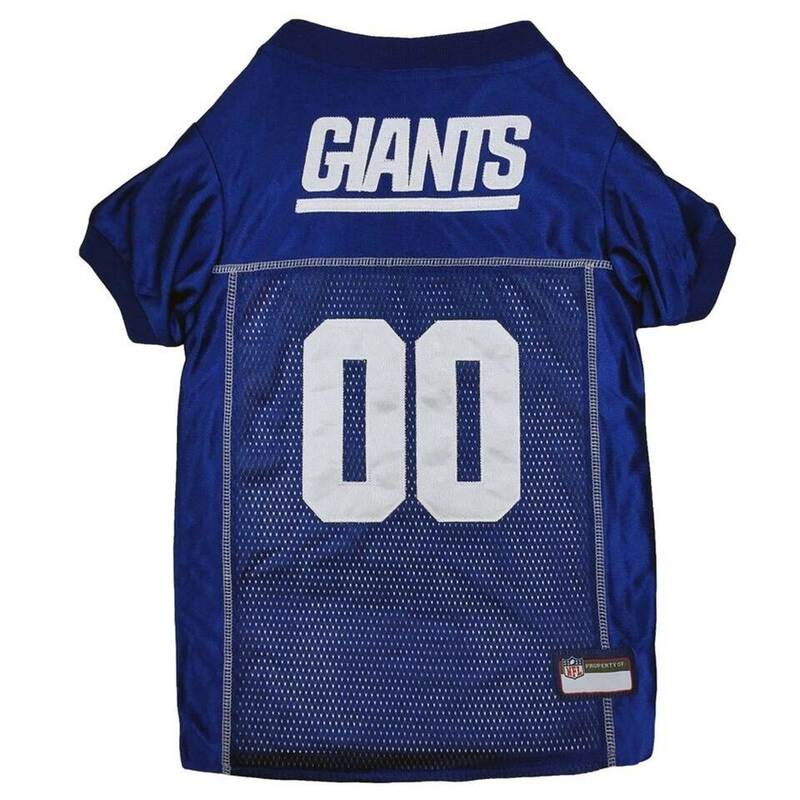 Get your pet geared up for the game with this officially licensed NFL pet jersey. 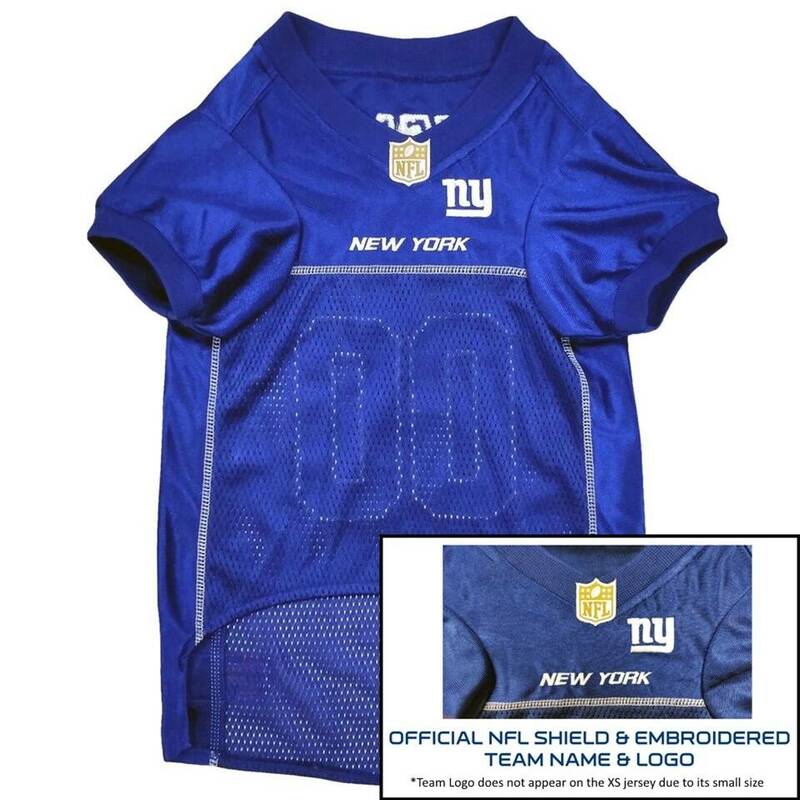 This satin and poly mesh jersey with woven trim on neck and sleeves features premium details. 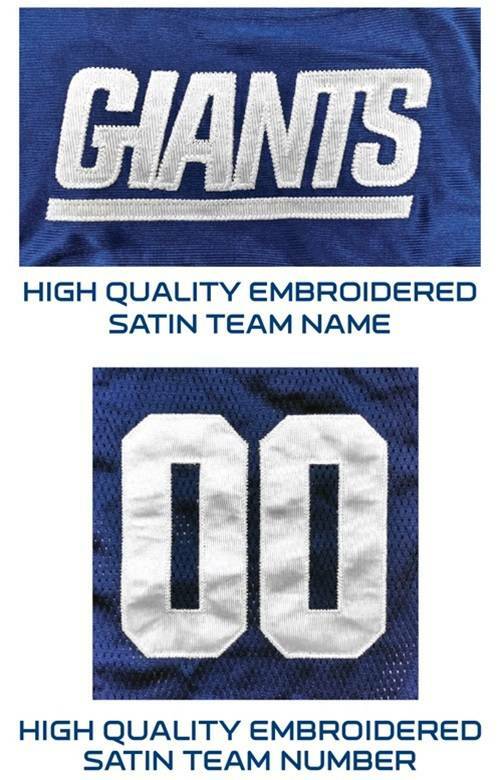 The back has satin applique numbers and embroidered logo, while the front has embroidered NFL team logo and name.